You thought capitalism was permanent? Think again. 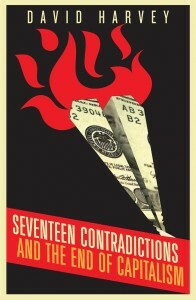 David Harvey unravels the contradictions at the heart of capitalism – its drive, for example, to accumulate capital beyond the means of investing it, its imperative to use the cheapest methods of production that leads to consumers with no means of consumption, and its compulsion to exploit nature to the point of extinction. These are the tensions which underpin the persistence of mass unemployment, the downward spirals of Europe and Japan, and the unstable lurches forward of China and India. Not that the contradictions of capital are all bad: they can lead to the innovations that make capitalism resilient and, it seems, permanent. Yet appearances can deceive: while many of capital’s contradictions can be managed, others will be fatal to our society. This new book is both an incisive guide to the world around us and a manifesto for change.